Offer Only Happiness In Life"
If you are looking for the tropical beaches in this island... this is the right place. This page only showcases the best beaches in this province. Take your time, and enjoy your search. Alegre Beach Resort & Spa, one of the cool beaches in the island, is a world-class 5-star resort facility in Philippines. It is perfectly settled amidst a seven-hectare green tropical gardens. Alegre Reef is a marine sanctuary under the resorts care, a home to tropical diverse marine life available for snorkelers and divers. Known for its natural beauty, Badian Island Resort & Spa with lush palm trees, is located in a private beach with white sand and turquoise water. Aside from their great tropical services, they also offer you to explore the resort's underwater world. This amazing place is setting amidst the secluded 11-hectare plantation with elegant colonial style architecture. It offers you a perfect place for your family vacation, for your romantic life, and for your business or leisure choices. It's been named as "one of the top 10 family-friendly resorts in Asia." Maribago is one of the greatest beaches & unique resorts that showcase the best Filipino culture through its themes, services, especially its warm, friendly, and caring staff and management. 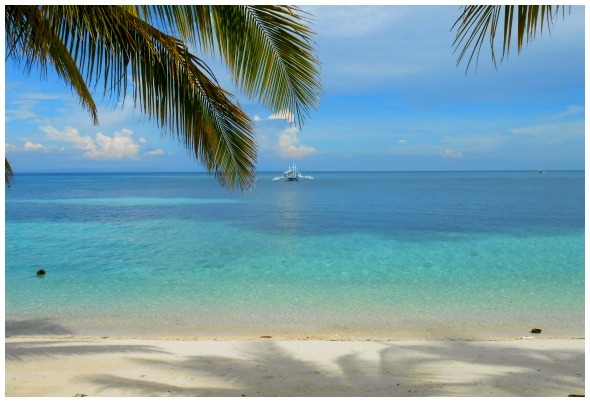 It is nestling in a 7-hectare beautiful place of Mactan Island in this province. This beach hotel is setting beautifully on the scenic coastline of Mactan Island. It offers your beachfront accommodations for your total comfortable and enjoyable tropical beauty experience. You can just relax or enjoy water sports including diving, snorkeling, and more. Cordova resort is conveniently located in the coastal town of Cordova in this Visayan provincial island. It is very accessible by travelers either from Mactan International Airport (just 7 kms.) or from the capital city (just 9 kms.). Its location is great not only for beach & water activities but also for your visit to historical sites. Yes, it's enticing name speaks for itself. This great resort nestles in an island, Hilutungan Island, famous for water activities, including scuba diving and snorkeling. It boasts itself not only as one of the most beautiful islands but also with the most diverse and colorful marine life. Come and enjoy if you've already chosen one of the cool beaches in Cebu and hotel accommodations. Thanks a lot for visiting this page. Please, come again more often to discover more Cebu's vacation destinations and travel resources. The Travel Australia Bible offers tips and advice for over 2oo Australian holiday destinations, four-wheel drive adventure tracks, fishing tips, information about planning a trip, travelling with pets, dog boarding kennels, caravan parks, aboriginal culture and much more. We can help you plan your next Aussie adventure. Kenya safaris and holidays, hot-air balloon rides, wildlife safaris from Nairobi and Mombasa to Masai Mara, Amboseli, Tsavo game reserves and beach Holidays in Mombasa. Florida Beach Vacations Florida Beach Vacations Beach vacations in Florida made easy. Here is information for the best Florida beaches, Florida beach resorts and Florida beach hotels to make your vacation in Florida a reality. Clearwater Beach Vacation. A local family's clearwater beach experience in sunny Florida. These beautiful beaches are the best in Florida, and the ambiance is like none other. Our journal describes fabulous hotels, amazing resorts, and phenomenal restaurants while enjoying all of Clearwater Beach's activities!